Using wall paper can enhance any space. Have you ever thought of using it on places besides your walls? 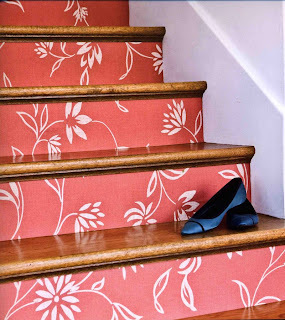 This is such a neat use of wallpaper on stair risers. It helps to spruce up your boring steps.